The aim of this study is to analyse students’ skills to construct representations (namely numerical, model, number line and verbal) by examining the transitions between the representations involved in addition and subtraction operations. This research has been conducted as a case study. The study group consists of 59 students. The data were collected through "Multiple Representations in Fraction Operations Test" and analysed in accordance with predefined transition criteria. According to research findings, students performed better in addition operation compared to subtraction operation. In addition, students were more successful in numerical-numerical, model-model, model numerical, and numerical-model transitions compared to other transitions in both operation types. Analysis of students’ representation skills turns out that students make mistakes at every step in their representation transitions. KARA, Fatma; INCIKABI, Lutfi. Sixth Grade Students' Skills of Using Multiple Representations in Addition and Subtraction Operations in Fractions. International Electronic Journal of Elementary Education, [S.l. ], v. 10, n. 4, p. 463-474, apr. 2018. ISSN 1307-9298. 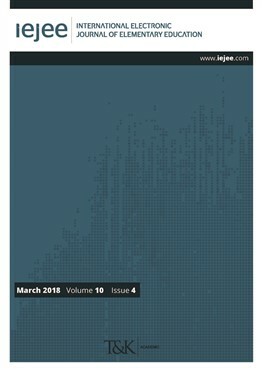 Available at: <https://iejee.com/index.php/IEJEE/article/view/462>. Date accessed: 18 apr. 2019. Abu-Elwan, R. (1999). The development of mathematical problem posing skills for prospective middle school teachers. In A. Rogerson (Ed.) Proceedings of the international conference on mathematical education into the 21st century: Social Challenges, Issues and Approaches, (Vol. II, pp. 1-8), Cairo Egypt. Ainsworth, S. (1999). The functions of multiple representations. Computers and Education, 33,131-152. Ainsworth, S. (2006). DeFT: A conceptual framework for considering learning with multiple representations. Learning and Instruction, 16(3), 183–198. Ainsworth, S. (2008). The educational value of multiple-representations when learning complex scientific concepts. In Gilbert, J.K., Reiner, M. ve Nakhleh, M. (Eds), Visulaziation: Theory and Practice in Science Education(pp.191-208). Springer. Ainsworth, S. E., Bibby, P.A., & Wood, D. J. (1997). Information technology and multiple representations: New opportunities-new problems. Journal of Information Technology for Teacher Education, 6 (1), 93-105. Akay, H. (2006). Problem kurma yaklaşımı ile yapılan matematik öğretiminin öğrencilerin akademik başarısı, problem çözme becerisi ve yaratıcılığı üzerindeki etkisinin incelenmesi (Yayınlanmamış Doktora Tezi). Gazi Üniversitesi, Ankara. Akay, H., & Boz, N. (2008). Prospective teachers’ views about problem-posing activities. Procedia Social and Behavioral Sciences, 1, 1192–1198. Akkuş-Çıkla, O. (2004). The effects of multiple representations-based instruction on seventh grade students’ algebra performance, attitude toward mathematics, and representation preference. Yayımlanmamış Doktora Tezi. Middle East Technical University, Ankara. Alacacı, C. (2010). Öğrencilerin kesirler konusundaki kavram yanılgıları. E. Bingölbali ve M.F. Özmantar (Ed. ), Matematiksel Zorluklar ve Çözüm Önerileri. Ankara: PegemA Yayıncılık. Ball, D. L. (1993). Halves, pieces, and twoths: Constructing and using representational contexts in teaching fractions. Rational numbers: An integration of research, 157-195. Baştürk, S. (2010). Öğrencilerinin fonksiyon kavramının farklı temsillerindeki matematik dersi performansları. Gazi Eğitim Fakültesi Dergisi, 30(2), 465-482. Behr, M., Harel, G., Post, T. & Lesh, R. 1993. Rational numbers: Toward a semantic analysis. In Carpenter, T. P., Fennema, E. and Romberg, T. A (Eds), Rational numbers: An integration of research, (pp. 13-47). Hillsdale, NJ: Lawrence Erlbaum. Behr, M., Harel, G., Post, T., & Lesh, R. (1994). Units of quantity: A conceptual basis common to additive and multiplicative structures. In G. Harel & J. Confrey (Ed. ), The development of multiplicative reasoning in the learning of mathematics (pp. 123–180). Albany, NY: SUNY Press. Biber Ç., Tuna A., & Aktaş O. (2013). Öğrencilerin kesirler konusundaki kavram yanılgıları ve bu yanılgıların kesir problemleri çözmüne etkisi. Trakya University Journal of Education, 3(2), 152-162. Bruner, J. S. (1960). On learning mathematics. The Mathematics Teacher, 4, 129-136. Carpenter, T. P., Coburn, T. G., Reys, R. E., & Wilson, J. W. (1976). Notes from national assessment: Addition and multiplication with fractions. Arithmetic Teacher, 23, 137–141. Charalambous, C. Y., Delaney, S., Hsu, H. Y., & Mesa, V. (2010). A comparative analysis of the addition and subtraction of fractions in textbooks from three countries. Mathematical Thinking and Learning, 12, 117–151. Corter, J., & Zahrer, D. (2007). Use of external visual representations in probability problem solving. Statistics Education Research Journal, 6 (1), 22-50. Cramer, K. (2003). Using a translation model for curriculum development and classroom instruction. In R. Lesh & H. M. Doerr (Ed. ), Beyond constructivism: Models and modeling perspectives on mathematics teaching, learning, and problem solving (pp. 449–463). Mahwah, NJ: Lawrence Erlbaum Associates, Inc.
Crespo, S., & Sinclair, N. (2008). What makes a problem mathematically interesting? Inviting prospective teachers to pose better problems. Journal Mathematics Teacher Education, 11, 395–415. Dickerson, V. M. (1999). The impact of problem-posing instruction on the mathematical problem-solving achievement of seventh graders (Unpublished doctoral dissertation). University of Emory, Atlanta. Dienes, Z. P. (1960). Building up mathematics. Great Britain: Anchor Press, Hutchinson Educational. Dufour-Janvier, B., Bednarz, N., & Belanger, M. (1987). Pedagogical considerations concerning the problem of representation. In C. Janvier (Ed. ), Problems of Representations in the Learning and Teaching of Mathematics,(pp. 109-123). New Jersey: Yayınevi. Duval, R. (2006). A cognitive analysis of problems of comprehension in a learning of mathematics. Educational Studies in Mathematics, 61(1), 103-131. Edwards, L. D. (1998). Embodying mathematics and science: Microworld as representations. The Journal of Mathematical Behavior, 17(1), 53-78. English, L. D. (1998). Children’s problem posing within formal and informal contexts. Journal for Research in Mathematics Education, 29(1), 83-106. English, L. D. (2003). Problem posing in elementary curriculum. In F. Lesterve R. Charles (Eds. ), Teaching mathematics through problem solving. Reston, Virginia: National Council of Teachers of Mathematics. Gagatsis, A., & Shiakalli, M. (2004). Ability to translate from one representation of the concept of function to another and mathematical problem solving. Educational Psychology, 24(5), 645–657. Goldin, G. A., & Janvier, C. (1998). Representations and the psychology of mathematics education. Journal of Mathematical Behavior, 17(1), 1-4. Herman, M. F. (2002). Relationship of college students' visual preference to use of representations: Conceptual understanding of functions in algebra. Unpublished PhD dissertation, Columbus: Ohio State University. Işık, C. (2011). İlköğretim Matematik Öğretmeni Adaylarının Kesirlerde Çarpma ve Bölmeye Yönelik Kurdukları Problemlerin Kavramsal Analizi. Hacettepe Üniversitesi Eğitim Fakültesi Dergisi, 41, 231-243. Işık, C., Işık, A., & Kar, T. (2011). Öğretmen adaylarının metinsel ve görsel temsillere yönelik kurdukları problemlerin analizi. Pamukkale Üniversitesi Eğitim Fakültesi Dergisi, 39-49. İpek, A. S., & Okumuş, S. (2012). İlköğretim matematik öğretmen adaylarinin matematiksel problem çözmede kullandiklari temsiller. Gaziantep Üniversitesi Sosyal Bilimler Dergisi, 11(3), 681-700. Kaput, J. J. (1989). Linking representations in the symbol systems of algebra. In S. Wagner ve C. Kieran (Eds). Research issues in the learning and teaching of algebra (pp. 167-194). Hillsdale, NJ: LEA. Kaput, J. J., Blanton, M. L., & Moreno, L. (2008). Algebra from a symbolization point of view. In J. J. Kaput, D. W. Carraher, & M. L. Blanton (Ed. ), Algebra in the early grades (pp. 19–55). New York: LEA & NCTM. Kılıç, Ç., & Özdaş, A. (2010). İlköğretim 5. sınıf öğrencilerinin kesirlerde karşılaştırma ve sıralama yapmayı gerektiren problemlerin çözümlerinde kullandıkları temsiller. Kastamonu Eğitim Dergisi, 18(2), 513-530. Lamon, S. J. 1999. Teaching fractions and ratios for understanding. Mahwah, NJ: Erlbaum. Lesh, R. (1999). The development of representational abilities in middle school mathematics. In I. E. Sigel (Ed. ), Development of mental representation: Theories and application (pp. 323–350). Mahwah, NJ: Lawrence Erlbaum. Lesh, R., Landau, M., & Hamilton, E. (1983). Conceptual models in applied mathematical problem solving. In R. Leshve M. Landau (Eds. ), Acquisitionof Mathematics Concepts and Processes,(pp. 263-343). New York: Academic Press. Mack, N. K. 2001. Building on informal knowledge through instruction in a complex content domain: Partitioning, units, and understanding multiplication of fractions. Journal for Research in Mathematics Education, 32, 267–295. Mick, H. W., & Snicrope, R. (1989). Two meanings of fraction multiplication. School Science and Mathematics, 89(8), 632–639. Miles, M. B., Huberman, A. M., & Saldana, J. (1984). Qualitative data analysis: A sourcebook. Beverly Hills. Ministry of National Education (MoNE) (2013). Ortaokul matematik dersi (5, 6, 7 ve 8. Sınıflar) matematik dersi öğretim programı. Ankara. Moss, J., & Case, R. 1999. Developing children's understanding of the rational numbers: A new model and an experimental curriculum. Journal for Research in Mathematics Education, 30, 122–147. Moseley, B., & Brenner, M. E. (1997). Using multiple representations for conceptual change in pre-algebra: A comparision of variable usage with graphic and text based problems. (ERIC Document Reproduction Service: ED413184). Nair, A. & Pool, P. (1991). Mathematics methods. A resource book for primary school teachers. Malaysia: MacMillan Education Ltd.
National Council of Teachers of Mathematics (NCTM) (2000). Standarts for School Mathematics. Reston, VA: NCTM. Neria, D., & Amit, M. (2004). Students preference of non-algebraic representations in mathematical communication. Proceedings of the 28th Conference of the International Group for the Psychology of Mathematics Education (Vol. 3, pp. 409–416). Orhun, N. (2007). Kesir işlemlerinde formal aritmetik ve görselleştirme arasindaki bilişsel boşluk. İnönü Üniversitesi Eğitim Fakültesi Dergisi, 8(13), 99-111. Owens, K., & Clements, M. A. (1998). Representations used in spatial problem solving in the classroom. Journal of Mathematical Behavior, 17(2), 197-218. Pape, S. J., & Tchoshanov, M. A. (2001). The role of representation(s) in developing mathematical understanding. Theory into Practice, 40(2). Pesen, C. (2008). Kesirlerin sayı doğrusunda gösterilmesinde öğrencilerin öğrenme güçlükleri ve kavram yanılgıları. İnönü Üniversitesi Eğitim Fakültesi Dergisi, 9(15), 157–168. Piaget, J., & Cook, M. (1952). The origins of intelligence in children (Vol. 8, No. 5, p. 18). New York: International Universities Press. Pitts, V. R. (2003). Representations of functions: An examination of pre-service mathematics teachers' knowledge of translations between algebraic and graphical representations. Unpublished PhD Dissertation. Pittsburg: University of Pittsburg. Resnick, L. B., & Ford, W. W. (1981). The Psychology of Mathematics for Instruction. Lawrence Erlbaum Associates. Sert, Ö. (2007). Eighth grade students’ skills in translating among different representations of algebraic concepts. Yüksek Lisans Tezi. Middle East Technical University, Ankara. Şiap, İ., & Duru, A. (2004). Kesirlerde geometriksel modelleri kullanabilme becerisi. Gazi Üniversitesi Kastamonu Eğitim Dergisi, 12(1), 89-96. Smith, J. P. 2002. The development of students' knowledge of fractions and ratios. In B. Litwiller, and G. Bright (Eds), Making sense of fractions, ratios, and proportions, (pp.3-17). Reston, VA: National Council of Teachers of Mathematics. Soylu, Y., & Soylu, C. (2005). İlköğretim beşinci sinif öğrencilerinin kesirler konusundaki öğrenme güçlükleri: Kesirlerde sıralama, toplama, çikarma, çarpma ve kesirlerle ilgili problemler. Erzincan Eğitim Fakültesi Dergisi. 7(2), 101-117. Stickles, P. R. (2006). An analysis of secondary and middle school teachers’ mathematical problem posing (Unpublished doctoral dissertation). University of Indiana, Bloomington. Şiap, İ., & Duru (2004). A. Kesirlerde Geometrik Modelleri Kullanabilme Becerisi. Kastamonu Eğitim Dergisi, 12(1), 89-96. Toluk-Uçar, Z. (2009). Developing pre-service teachers understanding of fractions through problem posing. Teaching and Teacher Education, 25, 166–175. Tunç-Pekkan, Z. (2015). An analysis of elementary school children’s fractional knowledge depicted with circle, rectangle, and number line representations. Educational Studies in Mathematics, 89(3), 419–441. Van de Walle, J. A., Karp, K. S., & Bay-Williams, J. M. (2010). Elementary and middle school mathematics: Teaching developmentally. Boston, MA: Allyn & Bacon. Van der Meij, J., & De Jong, T. (2006). Supporting students’ learning with multiple representations in a dynamic simulation-based learning environment. Learning and Instruction, 16(3), 199–212. Vergnaud, G. (1988). Multiplicative structures. In J. Hiebert and M. Behr, Number concept and operations in the middle grades (pp. 141-161). Lawrence Erlbaum Associates, Hillsdale NJ Acquisition of mathematics concepts and processes, 127-174. Vinner, S., Hershkowitz, R., & Bruckheimer, M. (1981). Some cognitive factors as causes of mistakes in the addition of fractions. Journal for Research in Mathematics Education, 12, 70–76. Wearne-Hiebert, D. C., & Hiebert, J. (1983). Junior high school students’ understanding of fractions. School Science and Mathematics, 83(2), 96–106.